Domain names can be complicated, but that doesn’t mean that they have to be. Hover’s mission is to simplify the world of domain management. 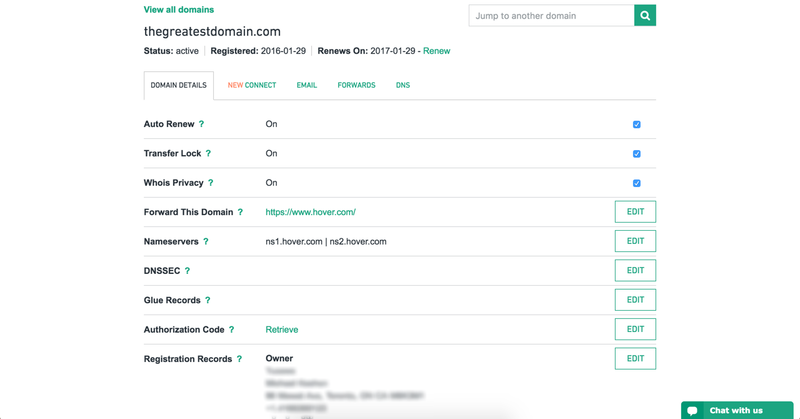 With hundreds of domain extensions, no heavy-handed upselling and best-in-class support, Hover makes it easy to spend less time finding a domain name and more time on your big idea. At Hover, we take a fair, honest and straightforward approach to domain names. We don’t charge extra for essential services like WHOIS privacy or expiry protection. Our support staff can help you troubleshoot any issue without needing to navigate through a phone tree or transfer you to another department. And most importantly, we believe you should have the freedom to point your domain name to whichever web host or site builder you prefer. That’s why we’ve partnered with Volusion to make setting up your domain name as easy possible. 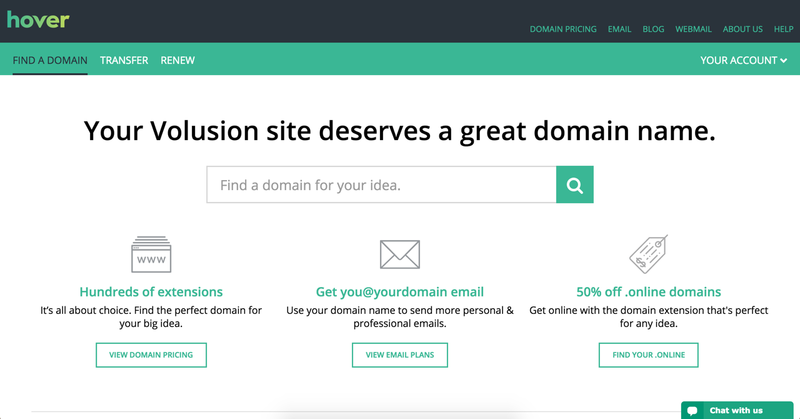 Rather than searching through support articles to find the right DNS records, all it takes is a few clicks to connect your domain name to your Volusion store. Spend less time on your domains and more time selling!